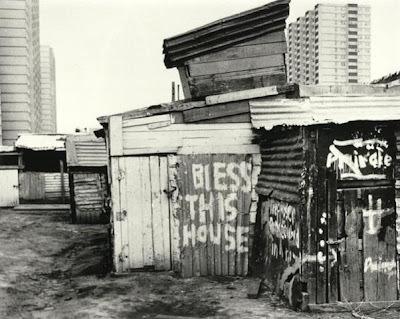 Gary found this photo of the Fitzroy Adventure Playground, Atherton Gardens Estate, taken in Australia by Mario Cotela in 1980. Written on a scrap of aluminum siding, BlESS THIS HOUSE might not do the trick, considering its apparent state of dilapidation, and the safety risk it might pose to children. Still, I wonder why the author chose to indent the word BlESS. If he hadn't, he probably could have fit the uppercase L in there. 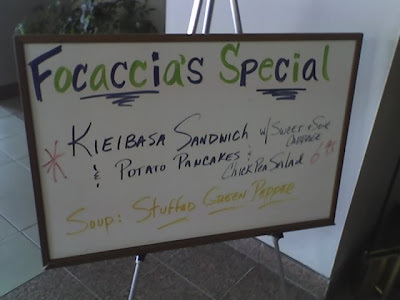 It's the daily special sign in front of the restaurant in the lobby of the building I work in. Since I found your site, I'v been checking it daily with my fingers crossed; I guess it finally paid off. Hopefully the culprit will strike again. Sure, the K is capital, so one might expect the L to be lowercase, but this special is still a hard one to swallow. 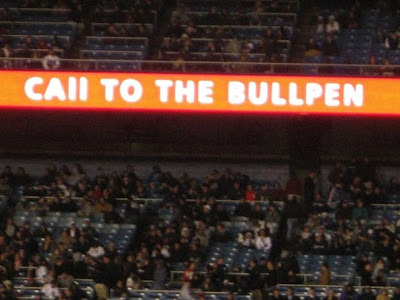 Andrew Neesly snapped this photo on a Verizon sign at Yankees Stadium, and was just as curious as I am about the choice to use lowercase L's for CALL and uppercase for BULLPEN. When I first saw the lower case l blog I was impressed by the collection, but still had doubts about the common mis-usage of capitalization. Just a few days later, I found a perfect example on the Stewart's Brewing Company specials board. Needless to say, the lower case Ls ruined my meal. The L's in All aren't all that bad, but the AlSO FOOD & DRINK SPECIALS reads like Audio Stream Input/Output food, something you might find on the menu at the Audio Engineering Society Convention. Jai Ho! Nancy found this sign for E-MAIl in Chennai, India. Yet another reason to never go to India after seeing Slumdog Millionaire. 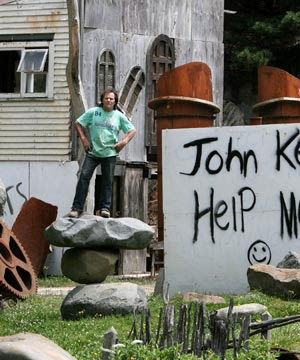 Times are tough, and people are resorting to selling their worldly possessions just to get by. 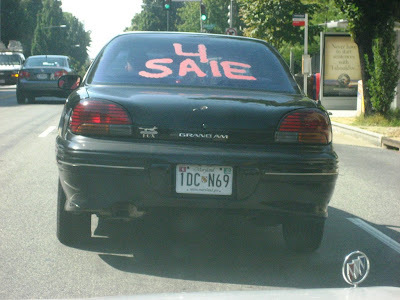 Allison A. spotted this one in Washington DC, where apparently times are so tough, the car owner was forced to substitute the number 4 for FOR, and went with the lowercase L instead of the uppercase, in a futile attempt to save window space and paint, resulting in the ultra-compact "4 SAlE" sign. But I'm not buying it. 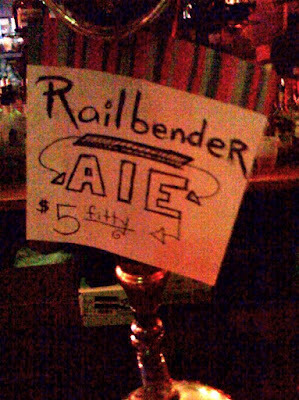 Steve S. found a great deal on Railbender AlE for just $5 Fitty. Good for what ails you. 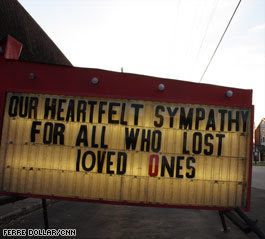 This sign in Samson, Alabama, expresses the thoughts of townspeople stunned after the shooting spree. Stunned, indeed. 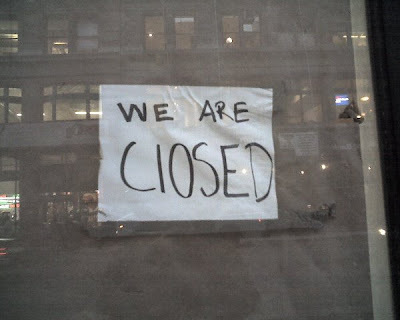 I wonder how the fellow who constructed this sign felt when he realized he ran out of uppercase L's, and had to resort to using an uppercase i as a poor substitute for such a somber message. Or maybe it's a number one, which would make the LOST lOVED ONES even more ironic. Oddly, the L and O in lOVED are a different cut from the rest of the letters on the board. Maybe they were hand drawn onto the sign? 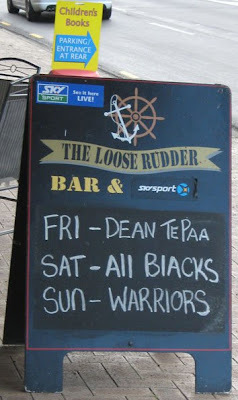 That would be even less excusable, if the guy writing the sign had a style choice. And the red O doesn't help, either. Sadly, this is not the first case of lowercase L adding insult to tragedy. 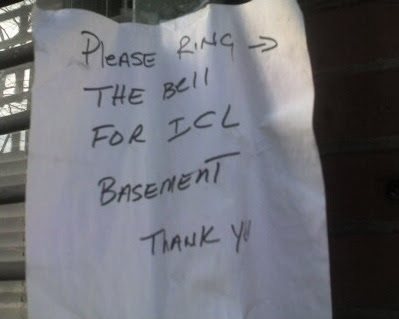 I extend my heartfelt sympathy for all who have been hurt by the misuse of lowercase L's. 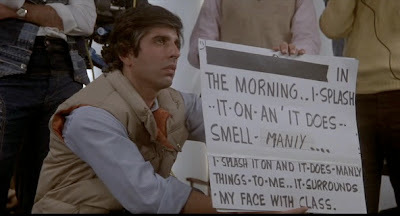 (Said with an imposing movie voiceover tone) "In a world ... where uppercase letters rule ... one letter stood out. It was ... the lowercase L". I try not to pick on foreign examples, but I'm living in Shanghai, and I think this one's pretty good. Otherwise spelled correctly, and everything! Interesting to note is that there is no lower case in this lovely '90s font, so it actually is an uppercase I. You may be interested to know that the pirated-DVD store formerly known as 'MOVIE WORID' is just across the road. It's now called 'Big Movie'. Wendy has a point about the foreign language aspect of lowercase L sightings. This lowercase L, which actually seems to be an uppercase i, could be a case of Engrish, and may have something to do with the lack of an L sound in some southern dialects of China. Buddy and fellow blogger Paul Berger has been plagued, living in the shadow of my lowercase L success, continually having his submissions to the site rejected for one technicality or another. But after years of frustration, the Englishman in New York finally ClOSED the deal with this photo, found in Manhattan on Broadway between Canal and Houston. I appreciate Paul's blind enthusiasm.